As a parent, paying for college may be one of the largest financial investments you'll ever make. According to CollegeBoard, the average cost of tuition for the 2017-18 academic year ranged from $9,970 for in-state students at public four-year universities to $34,740 for private four-year universities. Out of state tuition spit the difference, averaging $25,620. While having your child attend school in-state can yield savings, going to college out of state may be necessary to allow them to pursue a certain degree program or it may be their personal preference. If you're focused on keeping higher education expenses in check, looking for schools with the cheapest out of state tuition is a must. Out of state tuition applies to students who aren't considered state residents. Because public universities are funded in part with tax dollars from residents of that state, they effectively get a discount in the form of in-state tuition. But, out of state students don't get that same deal. The following list includes recommendations for colleges and universities with the cheapest out of state tuition rates for bargain-hunting parents and students. Chadron State College is located in Chadron, Nebraska and it offers a cozy setting for students. For parents, it also comes with a low price tag––just $240 per credit hour for out of state students. For a student taking five classes, the total cost for tuition runs $3,516, making it the most cost-friendly choice on the list for out of state undergrads. 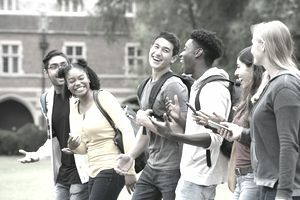 If your student doesn't mind the heat, Louisiana State University offers an excellent array of degree programs for undergrads interested in STEM fields, business and the liberal arts. The school has a 77 percent admissions rate, with 85 percent of students receiving financial aid. Out of state tuition is $28,051 per year but once financial aid, scholarships and other awards are factored in, the average net price for out of state students drops to $5,501. Alabama A&M University is also a great choice for students who have their eye on a STEM degree and it's excellent for parents who are looking for the cheapest out of state tuition. The regular undergrad tuition rate for out of state students is $518 per credit hour, but qualifying students can take advantage of an out of state waiver. This waiver allows them to pay resident tuition rates of $259 per credit hour, yielding substantial savings for parents. Minot State University is a smaller school, but some students may appreciate its intimate feel. Parents will appreciate the low tuition prices for out of state attendees. For the 2017-18 academic year, out of state tuition and fees totaled $6,810, making it one of the most affordable choices in the Midwest. As the third-largest university in North Dakota, degree offerings are varied and include accounting, broadcasting, environmental geology, personal finance and theater arts. Mississippi is home to Alcorn State University and similar to some of its southern cohorts included on the list, it's a steal for parents and students looking for the cheapest out of state tuition. Out of state students paid $6,888 for tuition and fees during the 2017-18 academic year. In addition to a wide range of undergraduate offerings, this historically black college is the first in the nation to offer a master's degree in NCAA Compliance. The University of Florida is a larger school and at first glance, out of state tuition prices don't look cheap. The average tuition rate is $25,694 but thanks to financial aid, which 96 percent of students receive, the net price of tuition drops to $7,024. Because this school has higher enrollment numbers, however, students and parents will want to fill out the FAFSA as early as possible to qualify for aid. If your student is interested in a desert view, Grand Canyon University might be just what they're looking for. The university is unique in that rather than charging in-state and out of state tuition rates, all students pay the same price. Out of state undergrads pay $8,250 per semester to earn a degree here. Degree offerings run the gamut from business and engineering to performing arts and theology. Maryville State University students pay $8,894 annually for out of state tuition. One nice perk students enjoy here: every student is issued a tablet upon enrolling at the university. With smaller class sizes, this school is a great choice for students who want to get to know their classmates and their professors. Michigan Technological University is another school that has a stellar reputation as being a research institution and students come here from all over the world to study different fields of engineering, chemistry, computer science and geology. With student aid factored in, the net price of attendance for students is $8,975, making it appealing to budget-conscious parents. The Texarkana campus of Texas A&M University is a great buy for parents, with out of state tuition and fees running $9,708 for the 2017-18 academic year. A number of the school's courses are offered online, with focuses on business, engineering, technology, sciences, education and liberal arts. Students can attend classes on-campus or taking advantage of the school's extensive online course offerings. One thing to keep in mind when looking for the cheapest out of state tuition––tuition is only one part of the picture. Parents and students also need to factor in how fees, room, and board and textbook costs may affect the total cost of attendance when choosing a school.